MechChem Africa talks to ArcelorMittal South Africa (AMSA) energy efficiency manager, Louis Bosch, and Greg Adcock from pump system optimisation specialist, TAS Online, about the substantial energy and cost savings being achieved at the steel maker’s Vanderbijlpark plant. The National Cleaner Production Centre (NCPC), which is part of the United Nations Industrial Development Organisation (UNIDO) and hosted by the CSIR in South Africa, promotes the implementation of resource efficiency and cleaner production. “As part of the programme, the NCPC sponsors pump and fan energy assessments and case studies and Harry Rosen and myself do audits on systems on their behalf,” says Greg Adcock of TAS Online. 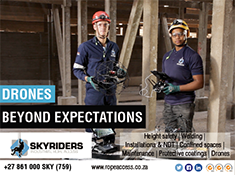 “Our engagement with the NCPC began when Harry Rosen came to AMSA’s Vanderbijlpark plant to deliver his Pump Expert Training course to our engineers. We have a very large number of pumping systems spread across this plant and during the training, we were able to identify several systems and combinations of systems that could benefit from the use of variable speed drives (VSDs) to speed up or slow down the process to save energy,” continues AMSA’s energy efficiency manager, Louis Bosch. “In addition, though, the training highlighted many other changes that we could make that would not require too much capital: through simple optimisation of some of the existing pumps and, more importantly, the systems they are pumping into,” Bosch says. One of the early projects identified during the pump audit at the Vanderbijlpark plant was for the cooling water pumping plant for the hot strip mill (HSM), which consists of five 1 225 kW high pressure pumps that supply cooling water into the plant. “When cooling water is not required, the pumps cannot be switched off because pressure is required instantly when cooling demand returns. The breaks in demand can last from a few seconds to a few hours, so when no flow is required, the system was switched into bypass mode with all the pumps continuing to run at full speed. If accumulated, these breaks were found to amount to 50% of the pumps’ on time,” Adcock reveals. The solution involved the installation of VSDs on all five of these HP pumps to enable energy savings during periods of low cooling demand. 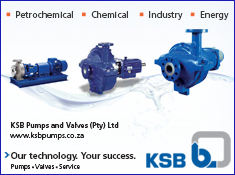 “During normal supply periods, the pump speed is typically 800 rpm. During bypass mode, the speed is now reduced significantly, typically to 600 rpm, and during periods of sustained plant downtime, a signal is sent to the controller and the pumps are run at the minimum speed, known as idling speed – and in all three modes, the pressures requirement of 8.5 bar can be maintained,” he explains. “This was a variable process and a good fit for energy optimisation using VSDs,” adds Bosch. “But VSDs require capital, which is a severe implementation constraint for a plant such as ours with a list of hundreds of capex priorities. That is why we partnered with EnergyDrive Systems to finance the project,” Bosch tells MechChem Africa. Describing the partnership between EnergyDrive and AMSA, Bosch says that EnergyDrive financed the whole project through a shared-savings scheme. “EnergyDrive bears the full capital cost of purchasing and implementing the VSD solutions. We then sign a savings-sharing contract, where we each earn a certain percentage of the real savings achieved. Then, once the capital is paid off, this split is increased in our favour, with the scheme remaining a win-win for both parties. “They also install monitoring to enable us to analyse the savings and the system in real time. This offers us a cost-free installation with immediate financial benefits, while EnergyDrive is able to recoup its investment over time, after which the company accrues profits directly linked to our savings. It is a win-win situation,” he notes. Following implementation of the VSD solution in June 2017, real monetary savings of R13 633 234/year have been achieved at AMSA’s HSM HP Plant, via energy savings of 61 350 GJ – without AMSA having to allocate any capex. “This amounts to an overall 53% reduction in total electricity consumption and an environmental benefit of 17 766 t of reduced CO2 emissions,” says Bosch. Adcock cites another successful intervention, on the cooling bath of AMSA’s slab caster. “To cool the slabs they are quenched in a bath of water to enable them to be quickly moved down the line. Two 30 kW pumps are used to feed water into the bath, with a third available for times when the temperature rises above …read more.